Shortly before Drury’s book was published (1985) a work by Werner Kelber appeared, Oral and Written Gospel (1983). I recall devouring Kelber’s books, pencil-marking them, thinking about them, applying them to other works I read, when I first began to study study what scholarship had to say about Gospel origins. His Oral and Written Gospel remains one of the most underlined and scribbled-in books on my shelf. Back then Kelber led me to ask so many questions of other works I was reading; now I find myself asking more critical questions of Kelber himself. Here is what he wrote about the significance of the parables as evidence for oral tradition lying behind the sayings of Jesus in the gospels. There are three distinctive features about parables that Kelber identifies as clear signs that they originated as oral performances. Owing to their metaphorical quality parables are hermeneutically unfinished products. They encourage but withhold meaning, suggest but conceal understanding. This status of hermeneutical open-endedness renders parables peculiarly dependent on oral, social contextuality. Two conclusions must be drawn. First, insofar as parabolic language is open-ended, and negotiable in social contexts and by interaction of speaker with hearers, it is a quintessential oral form of speech. Of all synoptic speech forms, the parable is the least capable of functioning as an autonomous linguistic object. Contrary to modem aesthetics of literature, parable is first and foremost a speech act delivered by a speaker to hearers. Second, parabolic speech not only lacks the original form but also the original meaning. No single telling of a parable is quite like any other, and different social contexts suggest multiple hearings. . . . In other words, the hearing of parables varies with each performance, because hearers and social contexts, the “cocreators” of parabolic speech [i.e. the interpreters], are inevitably variables. After such a barrage it was no wonder that I for a long time did indeed think of the parables as being inherited by the evangelists or gospel authors from oral traditions. But since then I have read Thomas Brodie (Oral Tradition 1; Oral Tradition 2; Oral Tradition 3; Oral Tradition 4), Drury and Goulder and much more widely on ancient literary techniques. And now we are going through Barry Henaut’s thesis specifically demonstrating the literary — as opposed to oral — character of the parables of Jesus in Mark 4. The argument is this: features A, B and C are proper to the oral medium; texts 1, 2 and 3 display characteristics of A, B and C; hence texts 1, 2 and 3 were at one point oral. 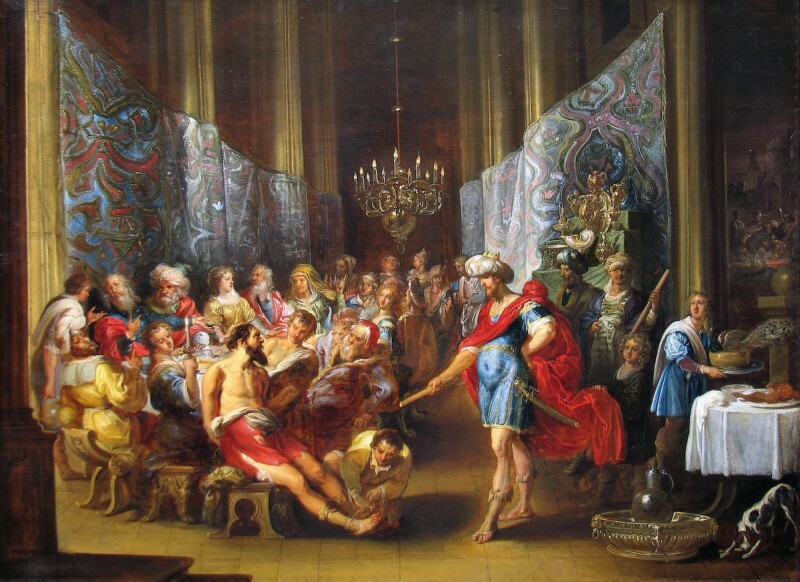 Kelber is correct to emphasize the considerable role that audience and context play in the oral delivery of such an hermeneutically flexible entity as the parable. 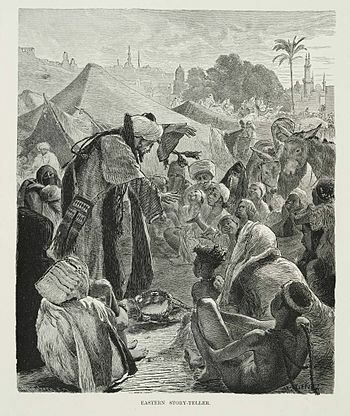 Tone of voice, gestures, pace and a host of other live delivery techniques affect the parable’s ‘meaning’ in any given performance. All these factors are lost to us in the Gospel text. Yet Kelber has overstated the case, I believe, in his assertion that no one form of a parable can be held as more original than another. This is true only of the oral medium, but it certainly is not true of parables incorporated in written Gospels. . . . .
21 “The servant came back and reported this to his master. Then the owner of the house became angry and ordered his servant, ‘Go out quickly into the streets and alleys of the town and bring in the poor, the crippled, the blind and the lame. Not only does [Matthew’s Great Banquet] come straight after the [Parable of the] vineyard with no more separation than ‘and again Jesus spoke to them in parables, saying …’; it also takes up its themes and phrases. Jeremias noticed that ‘he sent his servants’ here in verse 3 is the identical phrase which was used in 21.34. Likewise ‘again he sent other servants’ is an exact repetition of a phrase in 21.36. The killing of the servants here in 22.6 repeats the same atrocity in 21.35. The king’s retaliatory slaughter in 22.7 – ‘destroyed those murderers’ – is an actualization of the inevitable future of 21.41, ‘he will horribly destroy those horrible men’. Jeremias further notices that the killing of the servants bringing the invitations to the banquet is ‘motiveless’. That is to put it very politely indeed. But the observation is telling, as is the suggestion that the missing motive is in fact given in the previous parable where the messengers bring an unwelcome demand: a dramatic instance of the importance of reading parables in situ, for without having read the vineyard parable the marriage feast is not intelligible. 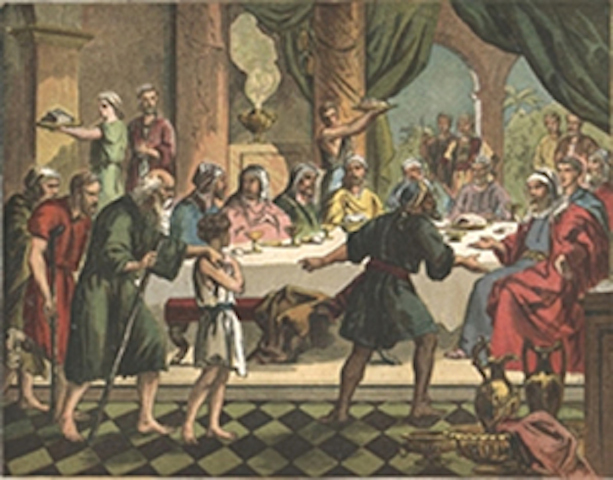 The two belong together inextricably and where Jeremias is tentatively perceptive of this, Goulder is very bold: ‘The Marriage Feast parable is nothing but a second version of the Wicked Husbandmen in terms of the Esther story, with suitable Christian glosses, and in the Matthean manner’ (p. 415). What needs to be brought out more clearly than it is either by Jeremias or by Goulder is that the two parables are linked by a theme: the historical crisis whereby Judaism was condemned and Christianity authorized, the fundamental Christian historical myth. That this should come up yet again is a reminder of the importance it had for Christians obsessively busy with establishing their own identity and authority, explaining how they stood first in God’s favour although they came last in his plan, how authority has passed from its traditional holders to those who responded to Jesus as God’s Son. It is important to notice that in both these parables the crisis is not doomsday but the fall of Jerusalem. The vineyard is handed over to other tenants who will produce its fruit: an historical community of righteousness is envisaged, not heaven. Those in the parable of the marriage feast who refuse their invitations and kill the messengers fall victims to royal anger by being destroyed and having ‘their city’ (a remarkable intrusion into the story, motivated by nothing but historical allegory) burned: after which other invitations are issued and the feast goes on, including the disciplining of the undressed guest. This crisis within history, followed by a new historical phase, is an important modification of straightforward eschatology which was prompted by the fall of Jerusalem, has its primary parabolic expression in Mark’s vineyard, and gets more through expression in Luke’s Gospel and parables. On the literary level, the recurrence of the historical theme of the doom of Judaism and the treatment of it by allegory shows that this is a parable in the proper biblical sense which it had for Ezekiel, performing its proper function of making events in history transparent to the divine plan behind them. Much of the allegorical symbolism is second-hand. It usually is, and is best that way because people will understand its signals. Jesus as bridegroom and his disciples as wedding guests goes back to Mark 2.19||Matthew 9.15. What the burning of the city meant in terms of Jewish history could not be mistaken by anyone after AD 70. The guests who refuse their invitations are the Jews. Those who accept are Christians, ‘bad and good’ as Matthew knew them in his imperfect church. Likewise Wisdom had laid a banquet and invited the simple or ‘foolish’ (LXX) to eat it and become wise (Proverbs 9.1-6). In the background of the parable there is also the story of Esther, particularly the climactic banquet at the end of the tale where the unworthy Haman was unmasked and condemned. . . . . The [Parable of the] banquet . . . is a version of Matthew’s marriage feast with big differences. Its allegorical significance is diminished by Luke’s substitution of a man giving a banquet, for Matthew’s king (God) giving a marriage feast for his son (Christ). But allegory is increased by the second and third rounds of invitations: to the poor of the ‘city’ and then to people in ‘highways and hedges’, signifying, as many commentators agree, the Church’s missions to disregarded Jews and to Gentiles. Then the parable makes clear that the blessed state enthusiastically referred to is conditional on responding positively to the invitation. Eternal happiness has historical conditions. On the other hand Luke omits, as well as Matthew’s king’s son’s marriage, the demolition of the city of the unresponsive at Matthew 22.7 with its clear reference to the fall of Jerusalem. This could well be because, for all its historical appeal, it is too fantastic a feature of the parable for one who likes his parables to be realistic. It is certainly not because Luke does not care about the catastrophe. He also omits the ejection and killing of the improperly dressed guest; for the same probable reason. The result is a more unified and likely story. But it is not obviously, as Creed believes (The Gospel According to St Luke [Macmillan 1930] p. 191) a simpler one. If Matthew’s bloodthirsty interludes go, Luke has a more complex and vivid set of three excuses with scriptural backing in Deuteronomy 20. He also has the three deliberately allegorical rounds of invitations. That there are fewer jolts along the line of Luke’s story than Matthew’s is more demonstrably due to his greater narrative skill than to primitive simplicity. ‘Luke does not allegorize’, says Creed (ibid. ), but then commenting on verse 21 allows the significance that ‘the Pharisees and the religious leaders having rejected their opportunity, they are replaced by the publicans and sinners’. Jeremias is similarly inconsistent. Goulder, too, having asserted that ‘Luke shows a marked aversion from allegory’ (p. 59), says that ‘Luke’s secondariness is made certain by the added allegory of the gentile mission’ (p. 418). Such confusion can be avoided by simply dropping the a priori assumption that Luke is unallegorical. His text shows that he can handle both the simply realistic and the allegorical. This parable in comparison with Matthew’s version shows him combining both well. He cuts allegorical ornaments in the interest of the narrative line – and adds them elsewhere. It is not that Luke eschews allegory but that he has other ways of telling parables as well: realistic ways which can happily include and bear allegorical significance. Here in the banquet parable his redistribution of the allegorical weight is done to the template of his overall historical pattern. Posted on 2014-09-21 00:08:24 GMT+0000 by Neil Godfrey. 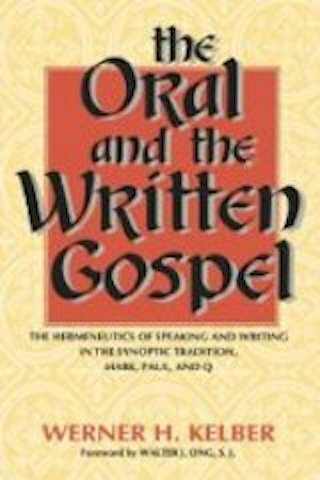 This entry was posted in Biblical Studies, Parables and tagged Henaut: Oral Tradition and Gospels, Michael Goulder, Oral Tradition, Parables of Jesus, sower parable, The Parables in the Gospels, Werner Kelber. Bookmark the permalink. I wonder whether the historical Jesus (if he existed) actually taught in intriguing parables or pithy one liners? It’s interesting Paul doesn’t seem to be aware of any intriguing parables or pithy one-liners by Jesus. Maybe the parables and one liners were just legendary material about Jesus (that he was brilliant) that accumulated around Jesus after he died (like the miracles). Judaism of antiquity was a storytelling culture, so it would make sense that a hero like Jesus would be portrayed as a master of parables and pithy one-liners. Rather than abstract ideas about God, we find a story, or at least a summary of a story, about what God has done. Given the pervasiveness of storytelling in Greco-Roman culture generally and in Jewish culture specifically, it is not surprising that Jesus is portrayed as a storyteller and that our understanding of him rests largely on stories told about him. These stories about Jesus circulated in various forms and activities, but most especially in early proclamations about Jesus, generally called sermons. Again we have the synopsis of a story or, more accurately, of a series of stories. So, given that the Jewish culture of that time prized storytelling, it would not be odd that legendary (or mythical if Jesus didn’t exist) storytelling material (such as the brilliant parables and the one liners) could have accumulated around Jesus even though he didn’t teach that way in real life.